I’ve waited with bated breath for this album’s release for a long, long time. I’ve been a Shinedown fan for a long time, ever since I first heard The Dream on Us And Them then the mighty Heroes in my cousin’s beat up old truck. I love these guys. So what does Threat To Survival deliver? There’s no denying that this record is very different to its predecessors. It is noticeably more commercial but, at the end of the day, business is business and these boys like every other band need to make music that will earn them valuable air time. Have Shinedown sold out and gone too pop/rock? The jury is still out on that one. The album opens with Asking For It. With strong echoes of The Kaiser Chiefs, this will surely be a crowd participation anthem when the band tour this record. Huge chorus. Cut The Cord comes next. With the schoolkid choir and Barry Kerch’s crashing drums, this is the angriest track on the record. It’s strong and powerful and different. Again, sure to be a crowd pleaser in due course. Already though I was thinking “Has this record been written aimed solely at huge arena audiences?” Hmmm….I wonder. There are eleven tracks on Threat To Survival but there are very few “stand out” songs among them. It All Adds Up is instantly toe tapping with its simple, effective drum opening. Vocally this one has the warmth and richness to Brent Smith’s voice that Shinedown fans adore. However, overall, it feels too polished; too clean. I just doesn’t quite add up. Black Cadillac is one of the highlights on the record and sounds more like you expect Shinedown to sound. There’s just a bit more of an edge to this song but this black Cadillac has been waxed to within an inch of its life. Misfits rounds off the record. This is a beautiful ballad. Not in the same league as The Crow And The Butterfly but it’s lyrically a fantastic track. It echoes of Shinedown’s past but that warm timbre of Brent’s voice is tragically absent. What should have been the star here remains a misfit. Throughout the album there’s glimpses of Shinedown’s brilliance and the band of old. I feel they are to be commended for trying something so radically different but it’s left me luke warm. This record isn’t trying to replicate any of its predecessors, a fact that the band have made quite clear. For me though, it has neither equalled nor bettered any of them. It’s a stratosphere away from the Sound of Madness. There’s a line in the track How Did You Love that reads “cause castles crumble, kingdoms fall and turn into sand.” This may prove to be prophetic. I just hope this record doesn’t prove to be a threat to Shinedown’s survival. 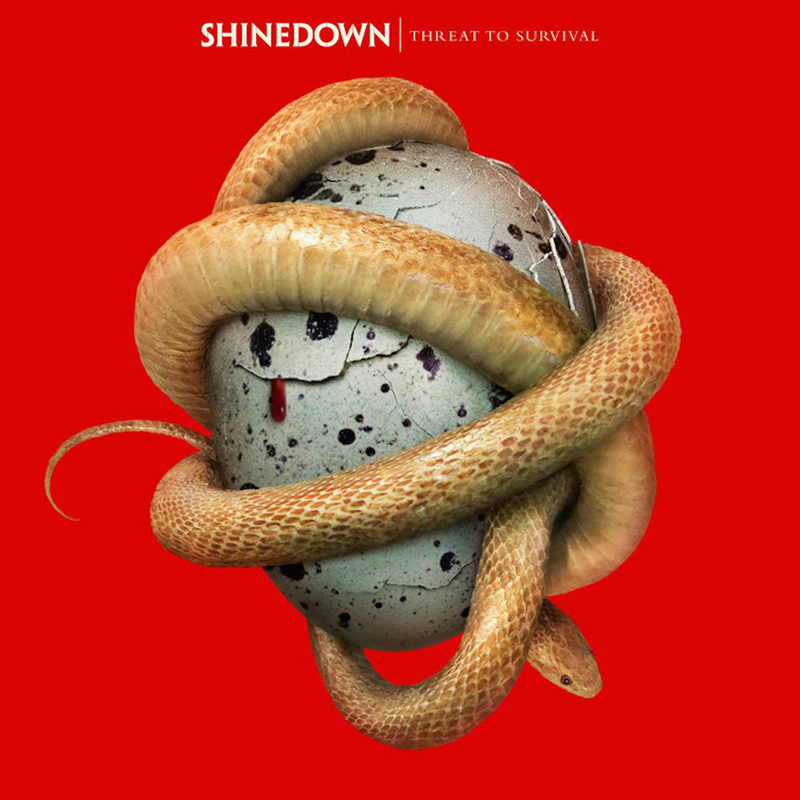 This entry was posted in Uncategorized and tagged #albumreview, #music, #musicreview, #rockmusic, Barry Kerch, Brent Smith, Eric Bass, Shinedown, Threat To Survival, Zach Myers. Bookmark the permalink.